New musical instruments are here! Head down to the Music Shop to get the Agogo and Alboka for all your music-making needs! Congratulations to the latest Beauty Contest winners - Branchpaw, Reed, and Spookse! Head over to the contest page to check out the top 3 entries or vote for your favourite entry in the next round of the competition! The latest issue of the Neopian Times is out and ready for you to read! 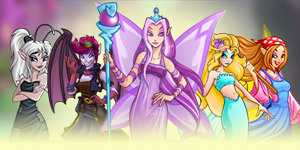 Be sure to check out some of the great new stories or read through the Editorial for the answers to some of the most buzzed-about questions around Neopia. Don’t forget to keep your eye out for those Dragoyles! Once found, they can give you some pretty sweet prizes! So look high, look low, look all around Meridell and go! Go! Go! The prize pool has been updated for Pick Your Own with a bunch of never-before-seen prizes! Play now and see what you will win! If you’re hungry for some new books then look no further! Come to the Magical Bookshop and pick up our latest books, Knowledge Hungry and All About Food! They’re a tasty read! 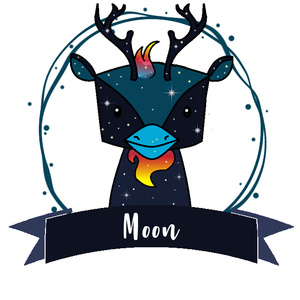 Congratulations to Moon, the winner of this week’s Petpet Spotlight. You can learn more about this Eventide Ignalce, if you head to the spotlight page now! And if it's finally your turn, submit your Petpet today for a chance to win! Ever wanted to bathe in donuts??? Well now you can! Sorta! Get the Donut Bath Bomb at the Grooming Parlour and let the scent of yummy donuts glaze over your skin (or fur)! If you’re not into donuts, you can always opt for the Avocado Bath Bomb. Just don’t accidentally spread this on your morning toast! 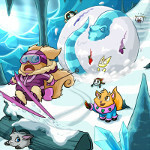 Caption Contest winners are posted and an all new contest is here! Submit your captions for a chance to win! Also- make sure you check out the updated rules page- some changes have been made! There are plenty of exquisite Poems available for your reading pleasures. Be sure to check out all the wonderful editions added for our recent Meridell Day Special! Also, don’t forget to continue searching for Dragoyles throughout Meridell! There are Dragoyles waiting to be seeked and prizes to win- so get to it! Do you have what it takes to challenge Albert in Better Than You? Fancy taking up the challenge and winning some wonderful prizes? Play now! The Petpet Protection League is back for another weekly surprise as we announce our winner for week 664 – Daloop. 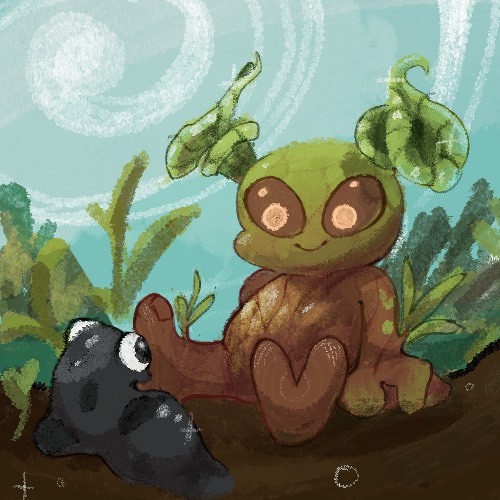 The Daloop is known as a friendly little guy that keeps friends easily since he is quite trustworthy. He’ll be your friend from 8am – 8pm. After that he’ll just say “Daloop doop doop!” *shrugs* It’s fairly entertaining. NC MALL NEWS: Haven’t you heard of the fun foodie trend going around? Well these guys have been doing trendy cafés from the beginning. 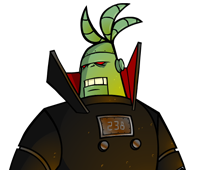 The Grundo Cafe Collectors Background has been sci-fi and on trend since before it was cool. Check out Gargarox's café and embrace your true hipster. Did I say hipster? I meant purist of course. MORE NC MALL NEWS: The Premium Sale is here along with all the newest features! Now you can change your pet’s species once a year, have up to 30 gallery categories, and own a customisation journal where you can save all your coolest customisations to then show your friends! Styling your hair can be so dull and ordinary, but not with the new Black Gnar Hair Clip! Head to the Grooming Parlour to pick up one of these bad boys, and while you’re there, get a Baby Blu Hair Clip! It’s super adorable and unlike the Black Gnar Hair Clip, its teeth won’t “accidently” pull your hair- ouch! Don't forget to congratulate fellow Neopian, blink_darkphoenix, for winning User Lookup of the Week with their bird watching inspired lookup page! The Art Gallery has been updated with a great selection of Ruki pictures for Ruki Day and Meridell Pictures for Meridell Day to get you through the week! Check them out! Today is the last day to vote for the most chuckle-worthy captions for the Caption Contest! Winners will then be announced at the end of the day. So go check them out! 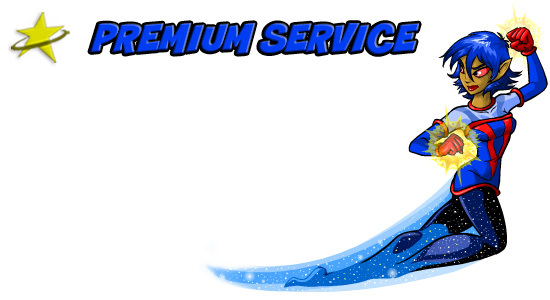 NC MALL NEWS: Shine bright like a Premium Member! For a limited time the cost to become a Premium Member is on SALE. Included are some new features which will be coming soon, so stay tuned- you won’t want to miss this great opportunity! MORE NC MALL NEWS: Today is the very last day you can buy items from the NC Mall Birthday Shop! After today the shop will be closed until next July, so rush over there to get any last minute items speedy quick! 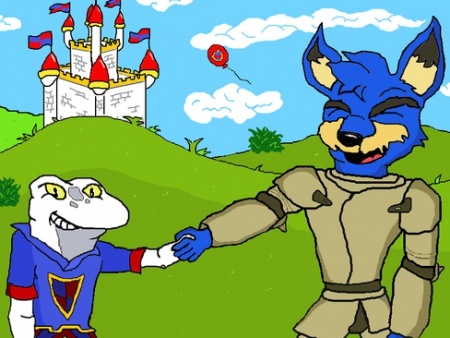 **TRUMPET SOUNDS** Attention all Neopians, today is Discovery of Meridell Day, some odd years ago this land was discovered. In celebration of this momentous day this medieval land has been polished up to the King's standards. With everything being scrambled around there appear to be some cute little Dragoyles in and around town. It seems they are carrying some sweet surprises so see if you can find them for this week long celebration. Be sure to stop by every day to really be a part of all of the festivities. This concludes our official Meridellian announcement. Thank you and have a HAPPY MERIDELL DAY or shall I say WEEK! Like Candy flavoured Ruki?…I mean coloured of course. These guys are absolutely not for consumption. But they look pretty scrumptious, I mean awesome, it looks awesome. Just be sure to check it out at the Rainbow Pool okay? . 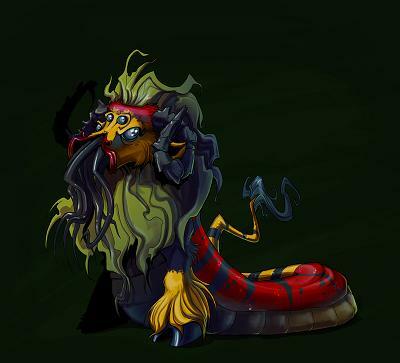 This week's Customisation Spotlight winners welcome a Shenkuu style Vandagyre and a Faerie Eyerie! 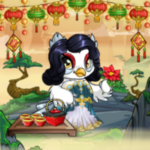 How will you customise your pets this week? Try your luck and submit your favorite ensemble for a chance to win! A new Storytelling tale has begun! Go check out the beginning of Story 814, submitted by call1800babespice before sharing your own additions! 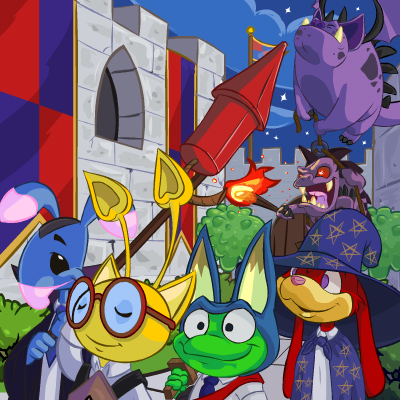 A very special shout out to zrinkill and their Kau, for winning this week's Neopet Pet Spotlight! On this day we celebrate Rukis! Be sure to read through some sweet poetry submitted from fellow Neopians. Feeling darkness in your soul? Perfect! 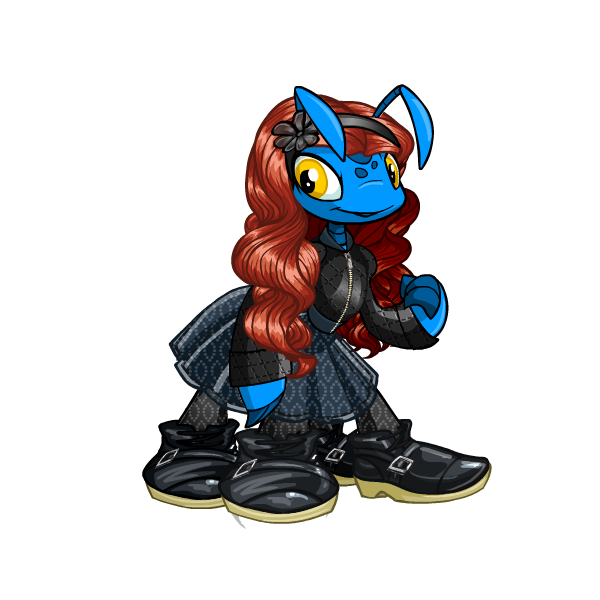 This Chic Ruki Outfit was woven just for you, it's got a dainty darkness to it from the top to bottom, don't forget to top it off with your dark flower headband! This lovely outfit is new to Uni's Clothing Shop so be sure to search through the racks and find every piece to complete the look. NC MALL NEWS: Have you heard the news? There are hidden Dragoyles all over Meridell in celebration of the Discovery of Meridell Day. These lil guys somehow got hold of some pretty valuable items. They've got two items each and one of these is extra special, it seems like a sparkly box it won't open however without a Jewel Encrusted Key. Only you can discover what lies within these magical boxes, why don't you give it a try? The month of Swimming is coming to a close, it went by so quickly! Never fear it's always a good time to go swimming! Right? Oh not when the water freezes over, well next month is the month of Hiding so incase swimming wasn't your thing you'll have plenty of good hiding places to start looking for. I already claimed behind Turmaculus so you can't have that one! IT'S MINE!